Due to inactivity, we have decided to close the CSC forum on this site. The forum will be deleted at the beginning of the new year. *The CSC website (which is a blog) will continue as it has since its inception with regular posts, and the option to comment on the blog will continue the way that it always has. We’ve had a forum section since we created our site where people could ask and answer questions. We’ve found that almost no one was using it, so we are closing that section of the site. The only change is the deletion of the forum. The blog that you’re reading now will continue on! We have an active and inclusive CSC community group on Facebook where many of our members can discuss sewing and receive answers to their sewing related questions as well as share the garments that they’re sewing. The FB group does not take the place of this blog and we are not becoming a site run through FB. Thanks for all the work in keeping up this site — I appreciate you’re not moving everything to FB, as I’m not on it and would miss your blog tremendously. Happy New Year! Jennifer, Michelle, Tanya and GillianCrafts have the patience of SAINTS, in addition to being phenomenal sewers and life-changing inspirational people! Thank you for this amazing CSC blog that you create and run so beautifully. It’s my favorite place to go on-line. It enriches my life every single time I visit. Fellow readers: No one has to go to Facebook. It is not a requirement to enjoy this blog. Ignore Facebook or not as you chose. The content of this blog will be right here where you are reading it at this very minute, minus the rarely used forum area. Just read and enjoy this lovely blog as you have been doing. Wow! Late to the party as usual. I had no idea I was not the last person to start learning all things internet. Seems like there’s been some confusion about what is a blog or forum. I did find the forum awhile back but thought it was DOA. I figured most people were on FB. Wish it were as inclusive as this format is but I’m happy (and will keep reading ) for as long as you lovelies keep on keepin on! 🙂 Go CSC ! Thank you for your notification about the forum. 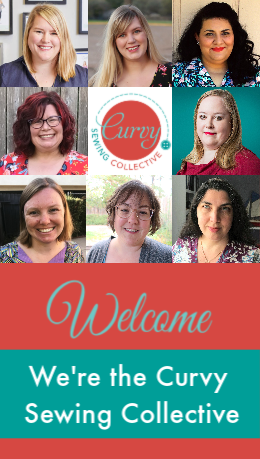 I have tried to go into Facebook and look at Curvy Sewing Collective from there, but have not been able to join or look. I can only look at the blogs that come through on my e-mail. Although it is so nice to know that you are caring about your curvy sewers out here. Hope you have a wonderful Christmas and New Year,. I will keep trying to get into the site through Facebook mean time please do not drop me from your e-mails. Because there will be no changes to the blog, you should continue to receive email notifications with new posts just as you always have. Happy holidays! To be honest I did not know there is a forum! Well I love the blog and I’m happy you guys take the time to teach and review so many patterns. Tanya and rest of the team: Merry Christmas if you celebrate it and Happy Holidays to all! I have only recently found your blog and registered for this forum. Thanks for the opportunity. I will continue to follow your blog and will register to follow you on Facebook – which is probably going to be easier for me, as I do look at Facebook far more often than many of the forum sites I have registered with. It’s a pity people are being a bit odd in their comments to you, who have tirelessly given the forum so much effort and your time without any recompense. A forum is a space embedded within a site where members may ask and answer questions of each other. The editors have chosen, due to low usage, to close this section of the site. They could have just closed it with no fuss and answered questions after but chose to advise us instead. Thanks for the heads up editors, keep up the stellar efforts. Here’s to a healthy & successful 2017. Sorry to see you close the forum. It has been very helpful when I have a question. Won’t be on FB. The blog is excellent!! Just recently found you through on line classes. This announcement is sad since I don’t do Facebook. I’m glad the blog will continue. Did you use the forum much? If you did, I’m sure you noticed how quiet it’s been for years – not many questions asked, not many answers given. I was pretty much unaware of the forum, but went to it after reading the comments to date. I can see why you would be closing it, based on the activity there. I am not on Facebook either, and do not intend to join up, but having used it years ago, can understand what a useful tool it could be. In any case, I am very happy that you are continuing the blog, as I enjoy it. I wish I could write an article for you, as can understand and appreciate how you all work on keeping up the quality and interest, but I am not a writer, and am not currently sewing much. But, just a vote of confidence, and a thank you for the good work you all have been doing. Thanks Kathy! We always appreciate people cheering us on – and I hope that one day you will write for us! The forum was a good idea, but really never took off. Before I was an editor, I used to “do my part” for the CSC by checking in on the forum every day or two and trying to keep conversations going, but it never had enough traffic to keep things fun and lively! By contrast, Facebook conversations take off like crazy, so it seems like a better venue! I am in entire agreement with Lynn Alcorn’s clearly stated opinion of Facebook and the matters associated with its use. For how long do you expect this blog itself to continue as a stand-alone entity.? Are there any plans – however tenuous – to migrate it, or any of its content, to FB? You might also take note that some readers of this blog will doubtless be puzzled, to say the least, by the rather petty and spiteful tone of the reference to ‘anti-FB folks’ in a recent comment. What the commenter clearly fails to realise is that a significant percentage of people are unable – not just unwilling – to use FB, for a range of perfectly valid reasons, including – but not restricted to – personal and family safety, professional contractual agreements and travel to and/or residence in, places where FB is unavailable. There are no plans to close the blog/website. The blog remains the place where we publish original content, with the ability for readers to comment. The FB group serves as a place for community members to share and talk directly to each other, but without CSC original content. No-one is obliged to use it, or will miss original content if they choose not to – it’s just another way to interact with the CSC community, and over 5,000 women are now doing so. We are present on multiple platforms (WordPress, Flickr, Instagram, Facebook) as a way to reach a wide range of curvy sewers. Some folks are interested in FB, some are not. Some are interested in Instagram, some are not. In that way, the CSC provides a variety of options to our community which now numbers in the tens of thousands and has diverse interests and wishes. Everyone should choose the platform(s) that suit them the best. Original content remains on the blog, which is essentially universally accessible to those with an internet connection. 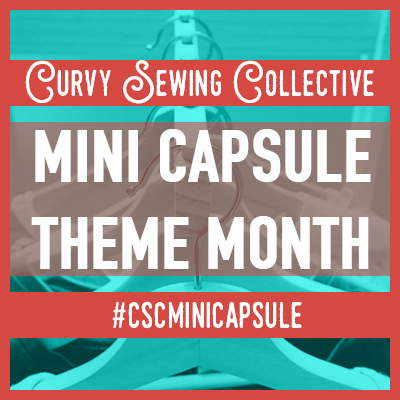 The volunteer, unpaid, CSC editor group try hard and put in many hours to fulfill our mission; to be perfectly honest, it is pretty dispiriting and discouraging for us when we receive hostile comments about our efforts to reach as many women as possible with our body-positive curvy sewing message. There’s a simple solution if you don’t like, want, or aren’t able, to use a specific platform. The single most helpful thing readers can do to help us to continue to have the CSC blog is write articles for us! So if you’re interested, drop us an email. I have made no ‘hostile comments’ about CSC and resent the implication that I have done so. When community members have questions or need fitting help, it makes sense to direct them to the much livelier FB group. Thanks Jenny, Gillian, Tanya, Michelle, Meg, Mary!! Since this is a completely free, non-commercial voluntary site/blog, I’m not sure why anyone thinks they are owed any of your plans for the future of the blog. Showing interest, yes, because that’s normal. But feeling like we are somehow owed something or are resentful when something changes? Whatever. You can’t be all things to all people. Thanks for what you do here, and MerryHappyJoyousHolidays to you all. Looks like the anti-FB folks are vocal here. Just want to say that I haven’t used the forum or the FB site but I am active on FB because that is what works for me. I’ll check out the CSC page there. I”m glad you’ve figured out the method that works best for you! 🙂 We try to have lots of ways people access our content – all the blog posts get published on the FB page, the FB group is great when people have questions or need help, and the website is here to stay, plus there’s Instagram and Flickr! Thank you for TIRELESSLY explaining what you ARE closing and NOT 🙂 You have all been so generous in sharing extensive explanations and pictures on this blog. I love and appreciate all the work you put into all these posts. Darn, I’m not a fan of change…. I’ve never used Facebook. Is there a way to organize posts over there by topic? I tend to read things and then want to come back to them a few weeks or months later. Will Facebook do that? Nothing is changing here on the website – the forum is a separate space which never really gained momentum! Thank you so much for explaining it is JUST the forum that is closing and I can still get my CSC fix. I have learned so much from your website and really enjoy the style and verve. Just to add to my post. I won’t be heading over to facebook either. For many reasons i refuse to participate on that site and many other social media forums. I dont understand what you mean by closing the forum. I understand that the blog isnt closing…..so what exactly is changing? Will i still recieve emails with members sewing experiences? Nothing will change on your end if you were not a participant in the forum, which is a separate section of this site. The forum is closing. Ok. Thank you for responding so quickly! Looks like a lot of people might not understand the difference between a forum and a blog/website. Might be a good idea to add more detail to your announcement. I have never sent input to this site or any forums but I would (as a retired hi tech instructor) just like to let you know that by closing this site’s forum you have guaranteed that I will not have a forum available to participate on in the future either. Because after decades working with secure hardware, software, and multiple operating systems for several decades, I came to the realization about 1998 that participation in large social networks, like Facebook, is just too dangerous given the current refusal by the owners & management of each and every one of these large networks to police & manage their own networks responsibily. I have seen nothing in the past 18 years to change to change my opinion of the security of these networks. So if I were counciling you on which to close, it would be Facebook just to make life safer for all your members. Thank you for giving me the opportunity to voice my opinions. We chose to close the forum because the forum receives very little traffic. The FB community group, on the other hand, is very active and has over 5,000 members. We felt that focusing on the FB group would better serve more members of our community. I’m sorry to hear it. Thanks for putting yourselves out there for so long! We are not closing our site (which is a blog) — only the forum, which is a discussion page within this blog. The blog will continue, if you don’t wish to join the FB community. so what does that mean closing the forum not the blog? 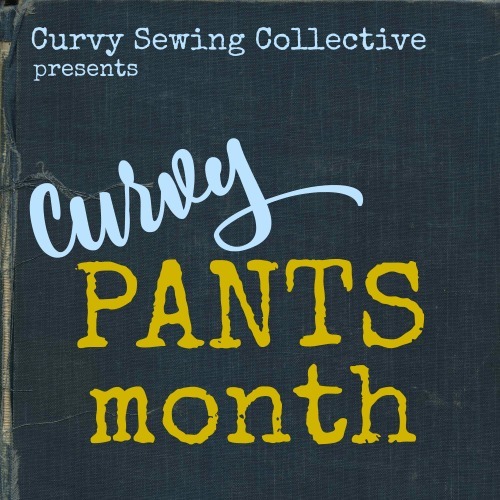 will I still be able to see the Curvy Collection of Bloglovin? If you are not familiar with the forum, click the link to the forum in the post. This website is a blog with regular posts in blog format. This is sad news for me. I’ve been totally inactive on this site, but I have learned a lot. I don’t have Facebook and don’t expect to join up in the future, but if you reopen this site elsewhere, or another on like it, I’ll join up immediately. Once again, we are not closing the site (which is a blog), we are closing the forum. I am sorry to hear that you are closing your forum. I found it very informative. Will follow you on Facebook! We are only closing the forum, not our site, which is a blog. The FB group is separate. I love this forum and have gained so much knowledge and info here. I’m very sad to see it go. We are only closing the forum, not the blog. Thank you for your tireless efforts keeping this site going. I’m sure your decision (to close/cancel) was reached after some painful deliberation. I’ll try the connection on FB and see if that works for me. I have no doubt that you guys will not disappear. Hope to see you on line in another place and time.